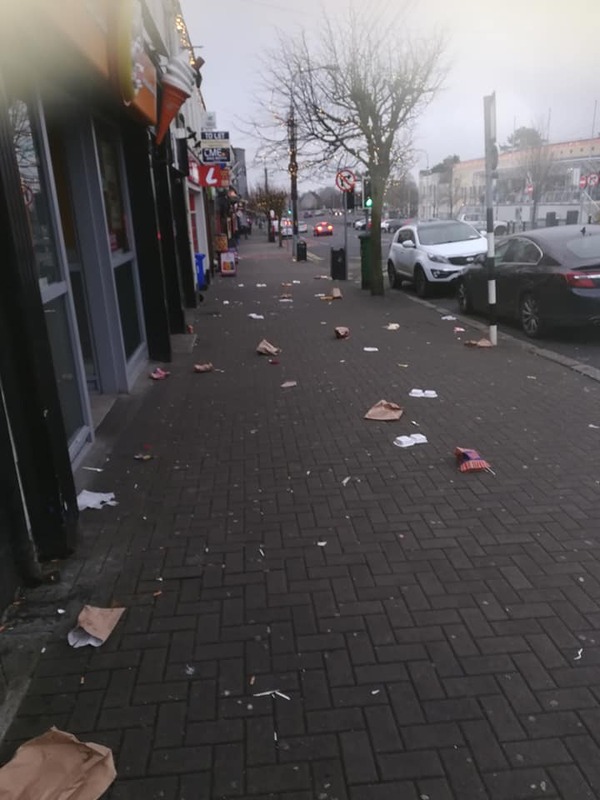 The streets of Newbridge were left strewn by rubbish after New Year's celebrations in the town. These pictures were taken by Cllr Murty Aspell on New Year's Day and posted on his Facebook page. "Totally unacceptable to see our main street in such a state on New Years Day, takeaways need to be held more accountable. We need to deal with this as a matter of pride and how our town is presented," he said.